If the rousing sales numbers for the 2015 Genesis weren’t enough to prove the luxury sedan has become Hyundai’s most successful model in recent history, skeptics have a multitude of prestigious awards to choose from. If you already thought the Genesis had a good run this year after garnering an IIHS Top Safety Pick+ and the Australasian New Car Assessment Program (ANCAP)’s highest safety score ever, wait until you hear the long list of the awards it’s recently received. Esquire’s 2014 Sedan of the Year: After testing eligible vehicles for this award across a 17-mile track of tight turns, inclines, hard-braking, and rapid acceleration, Esquire judges decided the Genesis was a noteworthy balance of luxury, performance, and value. Thus, the publication ranked the Genesis as number one for both design and quality. North American Car of the Year: Although the winners won’t be announced until the Detroit Auto Show in January, the Genesis can take pride in being short-listed as a finalist for the 2015 award. (In fact,Hyundai was the only automaker on the Car of the Year short list to be featured twice, thanks to the tried-and-true Sonata.) That means the Genesis progressed from 60 new vehicles under consideration down to an elite group of only 10. ALG’s Residual Value Award: Not only does the Genesis deliver affordable luxury upon initial purchase, it’s also projected to retain most of that luxury over the coming years. That’s not too surprising considering how well-known the automaker is for its vehicles’ after-market value. We don’t even have time to get into Popular Mechanics‘ Luxury Car of the Year award, the Hispanic Motor Press Awards’ Best Luxury Car accolade, Ruedas ESPN’s Best Luxury Sedan title, or…well, you get the point. 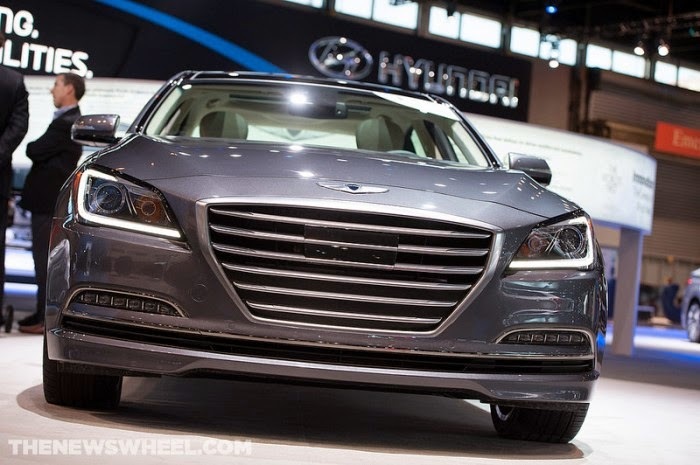 Have you driven the 2015 Hyundai Genesis yet? Do you think it deserves all the award attention it’s receiving? Share your thoughts on Hyundai’s attempt to enter the luxury segment with the heavily-hyped Genesis.